Wolf Blass has launched limited edition rugby labels for its Yellow Label wines in time for the forthcoming Rugby World Cup. 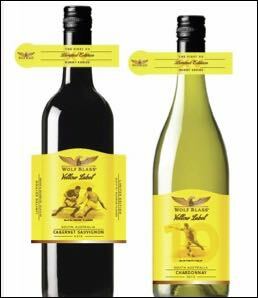 Fifteen different labels will be featured available on Yellow Label Cabernet Sauvignon and Yellow Label Chardonnay bottles. - one for each rugby position - with each including a different number and illustration representing that player. The new labels will be available in all off-trade channels from August and will be heavily supported by in-store POS. This promotion is the latest in a line of Wolf Blass campaigns associating its brand with sporting excellence. The new labels will be available in all off-trade channels from August and heavily supported by in-store POS.